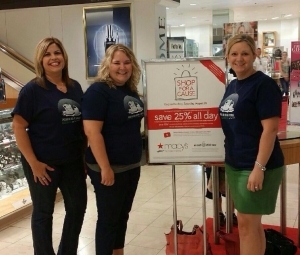 Team Asa partnered with Macy’s for their 9th Annual Shop for a Cause event on Saturday, Aug. 23, 2014. Thanks to all of our supporters, we sold 178 shopping passes, raising $890. Did we mention Team Asa sold one of the winning tickets? We did! Jim won a $500 Macy’s shopping spree! Congrats Jim!